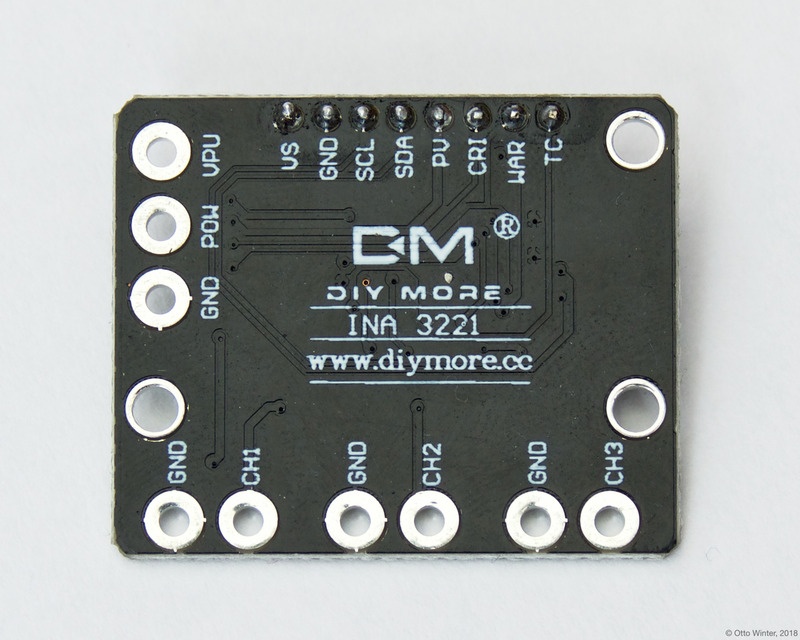 The ina3221 sensor platform allows you to use your INA3221 3-Channel DC Current Sensor (datasheet, switchdoc) sensors with ESPHome. 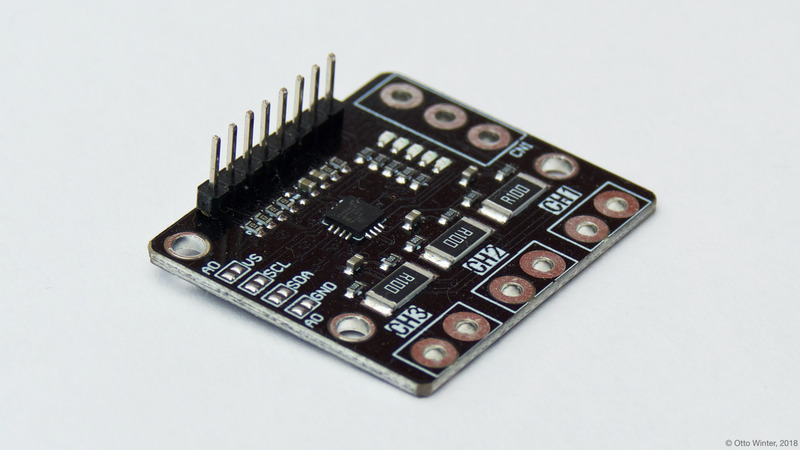 The I²C Bus is required to be set up in your configuration for this sensor to work. name: "INA3221 Channel 1 Current"
name: "INA3221 Channel 1 Power"
name: "INA3221 Channel 1 Bus Voltage"
name: "INA3221 Channel 1 Shunt Voltage"
channel_1 (Optional): The configuration options for the 1st channel. shunt_resistance (Optional, float): The value of the shunt resistor on this channel for current calculation. Defaults to 0.1 ohm. current (Optional): Use the current value on this channel in amperes. All options from Sensor. power (Optional): Use the power value on this channel in watts. All options from Sensor. bus_voltage (Optional): Use the bus voltage (voltage of the high side contact) value on this channel in V. All options from Sensor. shunt_voltage (Optional): Use the shunt voltage (voltage across the shunt resistor) value on this channel in V. All options from Sensor. channel_2 (Optional): The configuration options for the 2nd channel. Same options as 1st channel. channel_3 (Optional): The configuration options for the 3rd channel. Same options as 1st channel. Pins on the INA3221. For communication only VS, GND, SCL and SDA need to be connected. Note that all 3 channels share the same GND reference.